Personally, I want it. I am ready. 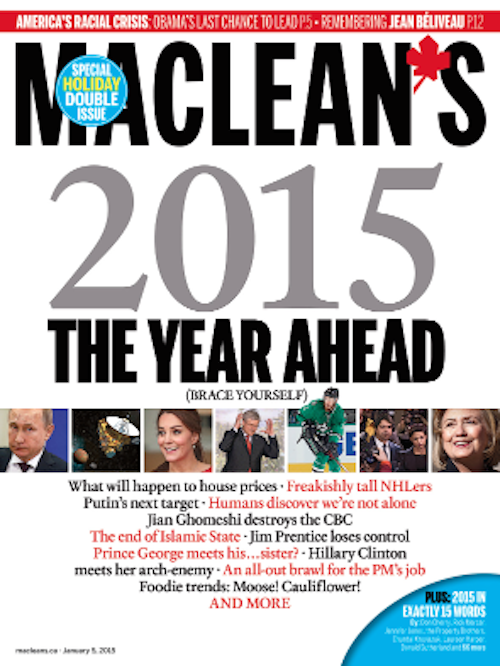 Off to a good start too with a pair of pieces in Maclean’s year ahead issue. I got to learn how to fly a solar plane (note: I’m not a certified pilot) and pen a sweet obituary to the postman, who is soon-to-be-dead and also possibly mad at me. Sorry, postmen. Hope 2015 treats you well.